The church in Eenum is one of the oldest baked-brick stone churches in the province of Groningen (in the very north of the Netherlands). It was built in the last quarter of the 12th century. The building is virtually without frill or embelishments. The architectural style is Romanesque in its origin. A number of renovations have taken place over the years. The outer wall on the northern side still has remnants of a window, which still can be seen clearly. The entrance to the church was originally on the western side and this is visible in the tower. An arch of an early Roman entrance can still be seen on the southface. A good observer can see that the large gothic windows were added later. There have been other entrances as well, e.g. one on the north side for the women which has been bricked up but is on the outside still highly visible, and on the southside an entrance for men. This is also the entrance today. The church was not only a place for worship but also a meeting place. It is dry and wind tight inside. 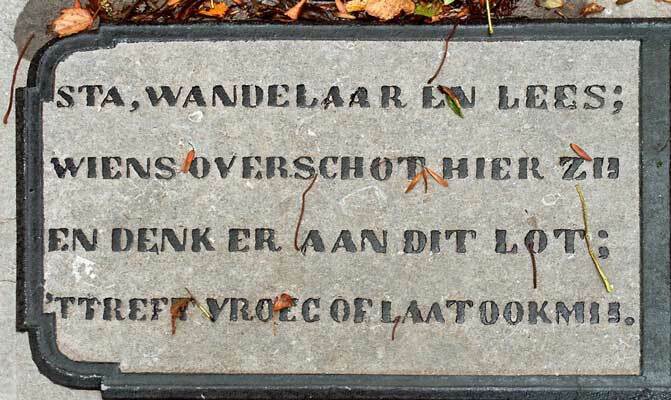 (Groningen has a sea climate thus often wind and rain) The graveyard, close to the church, was also a location for social activities. The graveyard headstones bear inscriptions not only of names and dates related to the deceased, but also rhymes and verses about the finality of life and the sorrow due to absence of the deceased. The ownership of the church and tower have been transferred to the trust "Stichting oude Groninger Kerken" in 1973. Some carved stones were discovered behind the pulpit during the restorations in 1976/1977. They think that it is a memorial stone in honour of Reindt Alberda, a lord from Eenum. The text lists the number of functions he hade. The stone was subsequently placed in the northern wall of the church. The family Alberda felt themselves closely involved in the affairs of the village. They donated the organ made by the famous organbuilder Arp Schnitger in 1704. 1704, Arp Schnitger built a single keyboard organ with the manual at the back. 1809, organbuilder Freytag attaches the pedal. The wind-production section has to be placed outside the case and is moved into an alley. A part of the wind ducts are renewed and two spoonbellows (like fireplace bellows) are added. There is the suspicion that the temperament had also been changed. It went from from meantone to equally tuned. Ca.1845, organ-builders Petrus van Oeckelen modified the organ by removing three Schnitger-registers and modifications are made according to the taste of the 19th century. Thus a new Viola da Gamba 8 ft is added. 1891, Jan Doornbos from Groningen makes a vertical standing reservoir bellow and and replaces the two spoonbellows placed by Freytag. The church of Eenum, on an elevated mound, with its nice Arp Schnitger-organ, and the village with the nice small streets together with the characteristic houses form a beautiful setting . The peace and quiet of the broad Groninger landscape complete this 'jewel of the clay. Arp Schnitger was born in Germany and lived 1648-1719. He enjoyed being world famous and is considered as the best known organ-builder at the time of the North-European baroque period. Schnitger combined the organ principles from the Renaissance with the early-baroque building principles. He built and placed organs in Germany and the Netherlands, but also in Portugal, Spain, England, Brazil and Russia. Some called Schnitger the Stradivarius among the organ-builders. The organs have an unbelievable variety of sound colours and, according to the organ-players, "very playable and they always work". He built a total of 170 organs of which 110 were completely new. More than 30 still exist today and for the most part in Northern Germany. He was very precise and meticulous in his directions. Often he would carry out a survey of the location before commencing work. Schnitger and his people built the whole inner works. He did have his most important workshop in Hamburg. Transport was carried out by ship. The other parts of the organ such as the organ-cabinet, the woodcarving and the embellishments were carried out by local craftsmen most of the time. Schnitger's greatest talent was the fact that he was able to acquire the best organ-builders in his time. He did have a team in Magdeburg, in Bremen and in Groningen. He did work in Groningen together with his master craftsmen Johannes Radeker and Rudolf Garrels. He also worked with the town-architects Allert Meyer and Jan de Rijk, one of the top stone-carvers of that time. The group was made up of apprentices and craftsmen who assembled the organ and carried out the maintenance. The voicing had been determined by Arp Schnitger well before building the organ but was finished by himself and later also by one of his sons. Because of the great care, precision, the high quality levels he had set, and the working together with others, this led to beautiful musical instruments. There are still eight playable organs from his hand in Groningen. Well known and established organ builders of today plead that the restorations be carried out in the conserving style. This implies that exactly the same methods of production and materials should be used as at the time the organs were built. It is not known what Schnitger looked like asince there are no prints or paintings portraying him. It is therefore fitting that he has a sentence carved on the organ in his local church at Neuenfelde "Gott allein die Ehre" (To God alone the glory)..
More information to be found at www.arpschnitger.nl. Source: Trust " Oude Groninger Kerken", de Mixtuur. This page has been translated by H.W. Rouhof ®.